Basketball, Soccer, Horses/Equestrian, Swimming, Team Sports, Adventure, and more. Slack Line/Ninja Ropes Course, Mini Putt, Volleyball, Archery, Campwide Co-operative & Competitive Games. 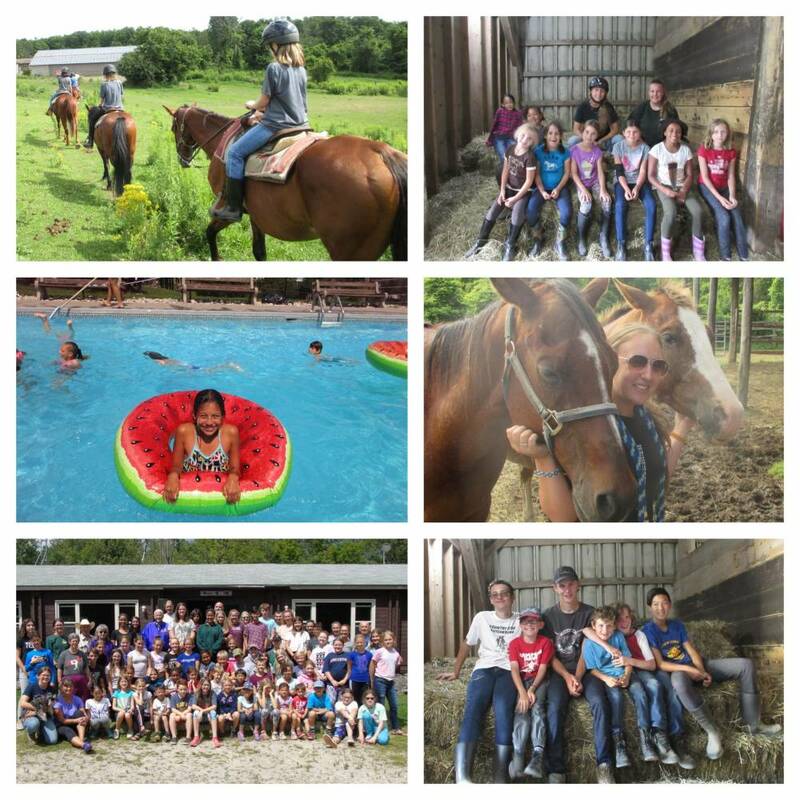 CAMP LOCATION: Rocky Ridge Ranch is located on the edge of the beautiful Niagara Escarpment in Halton Hills, just north of Milton, ON approximately 45 minutes west of Toronto's Pearson International Airport. The Ranch is an oasis having been established for 45 years. We have been acknowledged as an interdenominational Christian Ranch with a difference; family-oriented and personal. Please visit our website for much more ... info, pictures, etc. CAMP FACILITIES: We have 8 "antiquated but adequate" cabins, a large outdoor salt-water pool, dining hall, multi-purpose complex, tuck shop, enclosed ballcourt, sand volleyball court, park areas for games and picnicking, a barn with paddock & corral, mini-putt area and 200 acres! CAMP PROGRAM INFO: We encourage campers to become actively engaged in all areas of camp life and programs. We have a carefully chosen volunteer staff who are highly motivated, caring individuals whose patience and good humour instill a sense of well being and a spirit of cooperation. Most have been through our camping system and desire to give campers the same wonderful experience they had. Lifeguards and horsemanship instructors have the appropriate qualifications and we offer clinics using Red Cross swim program and the CHA (Certified Horsemanship Association) in western riding. Our Mission Statement: Rocky Ridge Ranch is “Evangelism”, “Growth” and “Family”. As advocates of youth and families, the Ranch is focused and committed to reach out and provide them with a suitable Christian environment for maximum growth and enjoyment, allowing them to develop into fully balanced (physical, mental, social, emotional and spiritual) human beings with the correct vertical and horizontal alignment. CAMP LEADERSHIP CIT/LIT PROGRAMS: The first week of camp is Teen Week where we promote "Leadership Training Through Involvement". The campers are involved in planning, carrying out and evaluating their contributions to the camp week. YEAR-ROUND PROGRAMS: We are a year round multi-programmed facility hosting outdoor education, retreats and mini conferences, family outings and reunions, a summer camp for children and teens, a hockey program, Christian chapels and meetings as well as half day and evening short programs, horseback riding, hayrides, birthday parties, orienteering competitions, etc. OTHER CAMP INFO: We have 3rd generation campers!! Please check out our website for Rates, Dates and other complete information. Go to The Best Canada Summer Camps Directory to Find More Top Summer Camps Near Rockwood, Canada.